User Provided Information: You may provide to MONTALVO what is generally called "personally identifiable" information when you register on the MONTALVO Website, such as your name, postal mailing address, email address, personal/business/mobile telephone number, billing information, and resume/CV. In addition, MONTALVO may give you the option to provide us with certain demographic and preference information about yourself. A persistent cookie remains after you close your browser and may be used by your browser on subsequent visits to the MONTALVO Website. For example, advertising cookies may be placed on your computer so that we can understand what you are interested in. Our display advertising partner, AdRoll, then is enabled to present you with retargeting advertising on other sites based on your previous interaction with MONTALVO. The techniques our partners employ, however, do not collect personal information such as your name, email address, postal address or telephone number. You can visit the page http://www.adroll.com/about/privacy to opt out of AdRoll and their partners' targeted advertising. In addition, if you prefer, any persistent types of cookies can be removed. Each web browser implements different functionality, so please refer to the manuals or technical support resources that are available in conjunction with your web browser to learn the correct way to modify your cookies set-up. Please note that disabling cookies may prevent you from accessing some of the resources and functionality available via the MONTALVO Website. "Automatically Collected" Information: When you visit the MONTALVO Website or open one of our emails, we may use different types of technology to record certain information from your web browser. 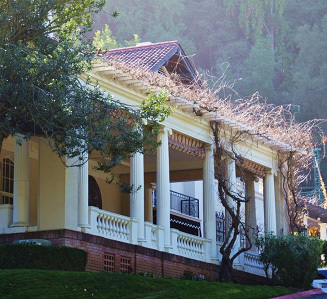 This "automatically collected" information may include Internet Protocol address and location ("IP Address"), web browser type, web pages or sites that you visit just before or just after the MONTALVO Website, pages you view on our website, and dates and times that you visit. In part, we may use the information we collect to serve you more relevant advertisements (referred to as “Retargeting”). This is statistical information used to monitor the usage of our website and for advertising purposes. This information does not include personal information. MONTALVO uses the information that we collect to provide various features and services to our Users, members, and visitors. MONTALVO may use all of the information that we collect from our Users to understand usage trends and preferences, to improve the way the MONTALVO Website and MONTALVO apps work and look, to improve our promotional efforts, membership drives, and fundraising efforts, and to create new features and functionality. MONTALVO may use automatically collected information and cookies information to: (a) remember your information so that you will not have to re-enter it during your visit or the next time you visit the MONTALVO Website; (b) provide custom, personalized content and information; (c) monitor the effectiveness of our promotional efforts, membership drives, and fundraising efforts; and (d) monitor aggregate usage metrics such as total number of visitors and pages viewed. MONTALVO will use information you provide through the MONTALVO Website, such as your email address or other personally identifiable information: (a) without further consent, for non-promotional or administrative purposes such as notifying you of major website updates, and (b) to send promotional, fundraising, and membership-related communications to you unless you opt-out of receiving such communications. You may request that MONTALVO delete your personal information by contacting us as directed below. MONTALVO may disclose both personally identifiable and automatically collected information to third party businesses, organizations, or persons to process such information on our behalf, to provide website maintenance and security, to provide various features and services to our Users, members, and visitors (including without limitation to enable sending of promotional, fundraising, and membership-related communications), to assist us in improving the way the MONTALVO Website works and looks, and to create new features. We may share automatically collected and other aggregate non-personally-identifiable information with interested third parties to assist them in understanding the usage patterns for certain content, services, promotions, and/or functionality on the MONTALVO Website. The MONTALVO Website may contain links to other websites, products, or services that MONTALVO does not own or operate. For example, we may partner with third party service providers to provide our Users with certain functionality or features (e.g. for online ticket sales). At times, websites hosted by these third party service providers, or other partners, may appear as if you are still on the MONTALVO Website. To tell whether you are on the MONTALVO Website or viewing third-party content, simply check the address of the page in your browser's address window. MONTALVO does not collect personally identifiable information from children except in connection with certain features and programs which are identified on the MONTALVO Website as collecting such information. Personally identifiable information collected from children by MONTALVO: (i) is not disclosed to third parties, (ii) is only used for the purposes of providing the applicable feature or program, and (iii) is not retained longer than necessary to provide the applicable feature or program. If you have any questions or concerns, please contact us at info@montalvoarts.org. No data transmissions over the Internet can be guaranteed to be 100% secure. Consequently, we cannot ensure or warrant the security of any information you transmit to us and you do so at your own risk. Once we receive your transmission, we make reasonable efforts to ensure security on our systems. We employ encryption and firewalls to protect your information from unauthorized access, disclosure, alteration, or destruction via the Internet. We implement a secure processing server on our site when collecting information to ensure a high level of security for your personal information entered such as bank details and credit card information. However, please note that this is not a guarantee that such information may not be accessed, disclosed, altered, or destroyed by breach of such firewalls and secure server software. If MONTALVO learns of a security systems breach, then we may attempt to notify you electronically so that you can take appropriate protective steps. By using the MONTALVO Website or providing personal information to us, you agree that we can communicate with you electronically regarding security, privacy, and administrative issues relating to your use of the MONTALVO Website. MONTALVO may post a notice on the MONTALVO Website if a security breach occurs. MONTALVO may also send an email to you at the email address you have provided to us in these circumstances.